Entering the end of year is the right time for some getaway to many national holidays that we can use to simply refreshing ourselves from everyday activities. A trip to the beach being favorite destination to spending holiday. You can go to Bali or Lombok where is already famous with their beautiful beaches. 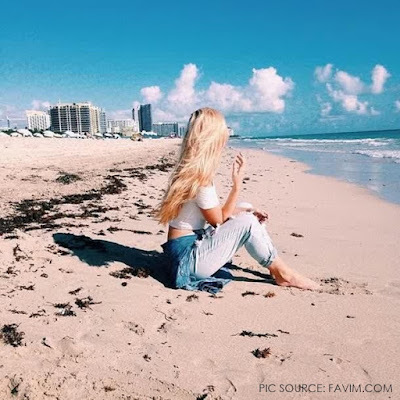 Before of the trip to the beach, you should plan carefully for your trip because the holiday season will cost you much more for inn or hotel and airplane tickets will be quickly sold out and if the tickets still available for you, definitely the price is way more expensive. In order for a vacation to the beach so will no bothering you with it's cost and you still enjoy it as much as you can, follow some fun tips below. If you are planning a vacation with friends or your clique, you better use the services of tour & travel. In addition you can get a complete and attractive deals, of course, the price will be cheaper then if you have to take care all by yourself. In addition, you get to enjoy the moment of your vacation. No need to bother with the followup preparation required for most activities and accommodation while on vacation has been prepared in full by tour & travel. Even so, you need smart carefully pick for tour & travel package. The qualified one tour and travel that will not disappoint you and destroy the beautiful moments during the holidays. The clothing that will be taken while on vacation, if you choose to go to the beach, then clothes that you choose should be made from cool and absorb sweat fabric. You can wear your favorite mini summer dress to be outfit to the beach and combined with the cross-eyed sunglasses. Or you can bring hot pants and tank top for more wearable outfit. Your vacation does not complete if you do not choose the best outfit to wear especially if you want to take many photographs on vacation, so wearing pretty outfit it's a must! No harm if you prepare some cash when going on vacation rather than searching for ATM. But remember it should not be over budget because then you will run out of money after the holiday. You can trick that by allocating a budget to be spent per day and then separate your cash according to your budget. So, are you already prepared for vacation?